Wild Blue Wanderings happened so quickly! I sent off one little email thinking that it would likely be months before an art show would happen, and instead they asked if I could be ready for the February art walk, which was three weeks away! Tight deadlines make things like curating an art show happen at a much quicker pace than they would otherwise! The process of making the show happen after agreeing to it was actually pretty simple. Narrowing down my portfolio of work into the photographs included in Wild Blue Wanderings took more time than I was anticipating! After I’d chosen the images came the really hard part… coming up with a name! Both of my sisters stepped in to help me figure out the perfect name for my first art show. We ended up having two receptions for the art show. The first opening with the art walk was on February 8th, which happened to be the beginning of “snowmageddon” in Seattle. Because of the insane snowstorm that happened we went ahead and had a second reception on February 22nd. My favorite part of the entire showcase has been getting to see people’s reactions to my photography. Sharing my work with friends and people that I hadn’t met before has been amazing! The canvases are for sale and will be available to be purchased on my website after March 8th! 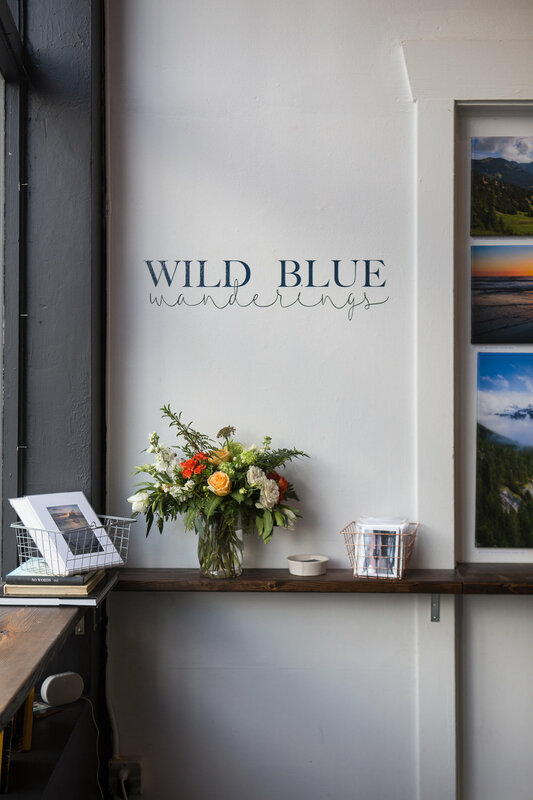 Wild Blue Wanderings photography showcase can be seen in person until March 7th at Stretch and Staple in the Greenwood / Phinney Ridge neighborhood of Seattle.